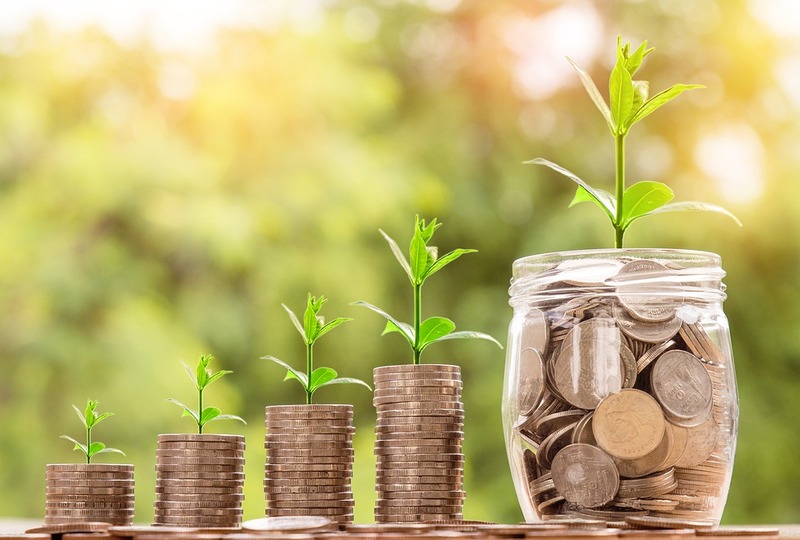 Microfinance is a form of financial service aimed at providing low-cost funds to unemployed or low-income individuals who have no other means of gaining finances. The main aim of microfinance has been to raise the incomes of borrowers and help them out of poverty. Various early impact evaluation studies showed evidence in favour of microfinance as a tool to reduce poverty. Recently, however, the critics of microfinance have pointed out various shortcomings of these studies in the form of biasness of the researchers and unrepresentativeness of the sample. Studies carried out by independent researchers have shown rather contrasting results, ranging from no impact to negative impact of microfinance on income and poverty levels. Some particular studies focusing on other development indicators like education, health and women empowerment have also shown either none or insignificant impact of microfinance (Rooyen et al, 2012; Duflo, 2013). This enables us to consider that microfinance may not be just inessential but rather detrimental to economic development in the long run. The proponents of microfinance ignored some critical features of the enterprises and jobs created, which have caused many micro enterprises to fail. The word “micro” indicates that the businesses set up by the borrowers are of a very small scale. They do not reach the minimum efficient scale which could allow them to grow sustainably and neither do they have the skills or funds to foster innovation and move up the productivity ladder. One reason behind this are the high interest rates, short maturities and the pressure to pay back loans in a timely manner because of which borrowers look for small and simple projects that could provide them with small, but, fast revenues. Operating below the efficient level, unable to compete with larger firms, leads to an inevitable failure of these micro enterprises. Statistics from Bosnia and Herzegovina show that around half of the micro enterprises lasted only a year before they failed (Demirgüç-Kunt et al., 2007). From the development point of view, an economy cannot grow in a sustainable manner if its scarce resources are being channelled towards low-productivity microenterprises instead of innovative and technology-oriented initiatives (Baumol et al, 2007). Because of the increasing focus on microfinance, funds are being directed away from small and medium-sized enterprises (SMEs) which tend to focus on more tech-oriented/innovative projects but whose returns are seen in the longer run and cannot service the short-term loans provided through microfinance. One study focusing on Nigeria showed that nearly 80% of microfinance is being directed towards simple, non-innovative activities, leaving behind very little for growth-oriented enterprises (Anyanwu, 2004). It has been noted that most of the clients use their loan for consumption purposes, instead of investing them in new sustainable projects which could ensure a constant stream of income. The end result from this is that the clients get burdened by more and more debt, with no stable source of income, and their poverty levels remain the same. In some extreme case, it is even seen that borrowers end up having to sell off their existing assets like family lands and use other forms of income (pensions, etc) to pay off the loans so their poverty levels become even worse (Bateman, Sinković and Škare, 2012). Another assumption of the proponents of microfinance that has been proven wrong is of supply creating its own demand. The supply of micro enterprises has been increasing endlessly in areas where microfinance has grown whereas the demand for their products or services has been stagnant. The market share has just gotten divided among the ever-increasing number of sellers and the excess supply has caused the prices to go down, leaving the sellers worse off than before. (Amsden, 2010). Microfinance has focused its resources on encouraging individual entrepreneurship, ignoring the roles that institutions play for the long run growth of these micro enterprises. Connectivity and linkages between different types and levels of firms are not formed and the small enterprises are unable to move up the value chain to survive in the long run (Chang, 2010). What the developing countries lack are not entrepreneurs, as generally believed. There are far more individual entrepreneurs in developing countries as compared to developed ones (OECD, 2009). Rather, they lack effective institutions and organisations that could develop capabilities and foster greater productivity of the workforce, allowing them to work together in a system of collective entrepreneurship and bringing about economic development to regions as a whole, as has been the case in richer European or American countries. In conclusion, it would be more appropriate to say that microfinance is inadequate, and in some cases even detrimental, to effective and sustainable economic development. If more and more scarce resources are directed towards these small micro enterprises which do not take into account the efficiency needs of the local economy, the long run allocative efficiency of the economy will get distorted further and further. What these developing economies need are local financial institutions that can provide the poor with “patient” capital that can allow them to undertake sustainable, innovative projects without the pressure of paying back the loan (Bateman, 2011). There is a need to refocus attention by channelling scarce funds towards the growth and development of SMEs as they are more capable of reducing poverty levels in a region through innovation and sustainability. There is also a need to increase intervention in the borrower's use of loans to ensure that they are put to sustainable projects that ensure a long-term income stream. Local policy makers need to ensure that the enterprise in which the microcredit is invested has a demand for its products or services in the local market. There is also a need to ensure that subsequent loans are used to increase the scale of the enterprise to bring it closer to the minimum efficient scale. These few suggestions point to the need for an active involvement of various actors in the local government and market to work together and create effective institutions that could eventually improve the effectiveness of microfinance schemes. Anyanwu, C M (2004), ‘Microfinance institutions in Nigeria: policy, practice and potentials’, paper presented at the G24 Workshop on ‘Constraints to Growth in Sub Saharan Africa,’ Pretoria, South Africa, November 29-30. Baumol, W, R Litan and K Schramm (2007), Good Capitalism, Bad Capitalism, and the Economics of Growth and Prosperity. New Haven, Connecticut: Yale University Press. Duflo, E., & National Bureau of Economic Research. (2013). The miracle of microfinance? : Evidence from a randomized evaluation. Cambridge, Mass: National Bureau of Economic Research. OECD (2009). Is informal normal? Towards more and better jobs in developing countries, OECD: Paris. Van Rooyen, C., Stewart, R., & de Wet, T. (2012). The impact of microfinance in sub-Saharan Africa: a systematic review of the evidence. World Development, 40(11), 2249-2262. A space for ideas and debate. Shaping the future for a better and more equitable society.